In the modern world, a growing amount of people are no longer accessing websites from their computers. Instead, they are going onto sites via their cell phones, tablets, and other mobile devices. As a business owner/manager, it is important for you to stay on top of the trends and to appeal to your clients and potential clients. This means caring about and catering to the way in which they access information. And, with so many people turning to mobile devices to access sites and perform Google searches, it is becoming increasingly important to utilize mobile advertising. Fortunately, here at Look to the Right, we know just how to help you appeal to and advertise to mobile users. Create Ads that Look Great on Mobile Devices! One important thing to understand is that ads that look great on a computer don’t always look great on mobile devices. 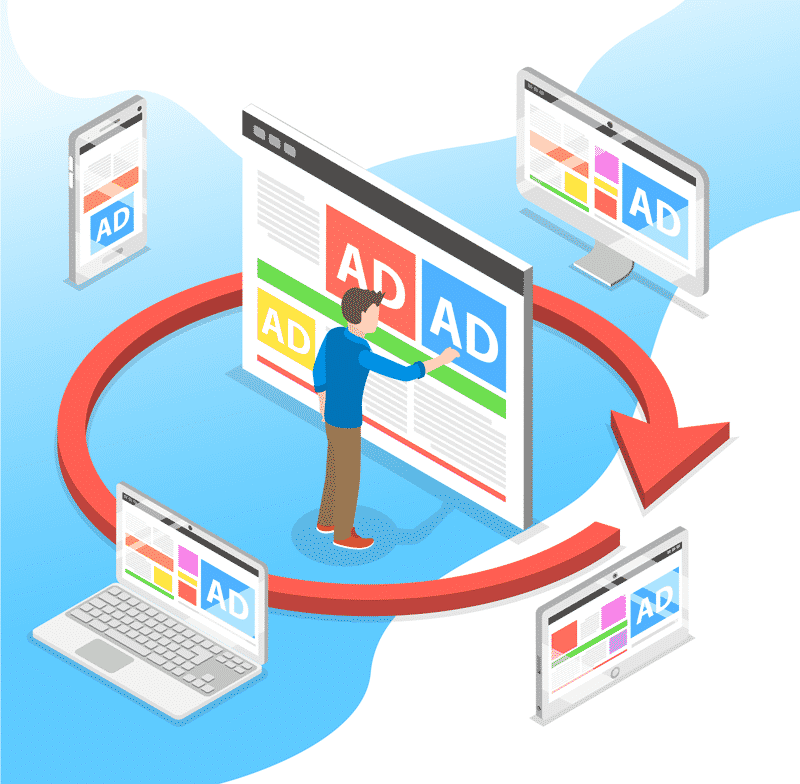 We understand, however, the importance of creating mobile ads, meaning ads that are easily accessible and that load just as quickly for mobile users as they do for traditional computer users. If your ads don’t work for mobile users, are slow to load, or have other problems, you are losing a large part of your audience. To prevent that from happening, we invite you to work with us. We understand how to create ads that work great for mobile users and computer users as well. That way, you won’t lose the attention or patronage of any person who attempts to access your ads and/or your site. Another important facet of mobile marketing is utilizing the sites people are most likely to visit on their mobile devices: social media sites. We understand, for example, that Facebook, Instagram, Snapchat, and more all provide excellent ways to advertise. And, even more importantly, we know how to advertise on these platforms and to appeal to the people who use them. While we are well-versed in all of the major social media sites, we can really help when it comes to Facebook. Facebook offers lots of great advertising options and the widest, most diverse audience, with upwards of 200,000,000 active users. Through Facebook, you can choose to advertise via Cost Per Thousand Impressions (CPM) or Cost Per Click (CPC) advertising. Thus, there is something for every budget and goal, and we can help you to use the system effectively. Facebook advertising, if you know how to use it, also makes it easy to see the success of your ads and how to improve them. If you are ready to utilize Facebook and other social media sites to appeal to mobile users around the globe, we’ve got you covered. Mobile advertising isn’t easy if you don’t know what you’re doing. However, with our help, you can create ads that work for mobile users and all users. You can also effectively utilize the many channels and platforms that make online advertising easier than ever before. If you are ready to reach the widest audience possible by “going mobile,” we invite you to contact Look to the Right to learn more about how we can help you.